Being a writer, photographer, artist, designer, Lifestylist or chef is an incredible amount of work. Our jobs are to make everything look seamless and beautiful - anyone could do it, right? As part of that, it has become very easy for others who don’t have the time, resources, and talent to take the work that we share and use it to make a profit for themselves. A poorly reproduced image that a publication used without asking permission, and does not credit the photographer. Someone sent this to me today. I appreciate this heads up - it always amazes us as to where our copyrighted work shows up. What’s really ironic is I can’t even find this image in my posts! We could get the attorneys to go after this publication… again… but it would only give them the attention they are looking for. Rick, the Manufactured Housing Institute, and Lisa Stewart Photography (who shot the original image) deserve a better representation. And things like this are why this publication is no longer invited to events promoting the manufactured housing industry - if you don’t cover what you are writing about like a professional, you won’t be treated as one. Our article in MH Insider identifies the builder, event that the home was part of, and the photographer was credited on the front page. 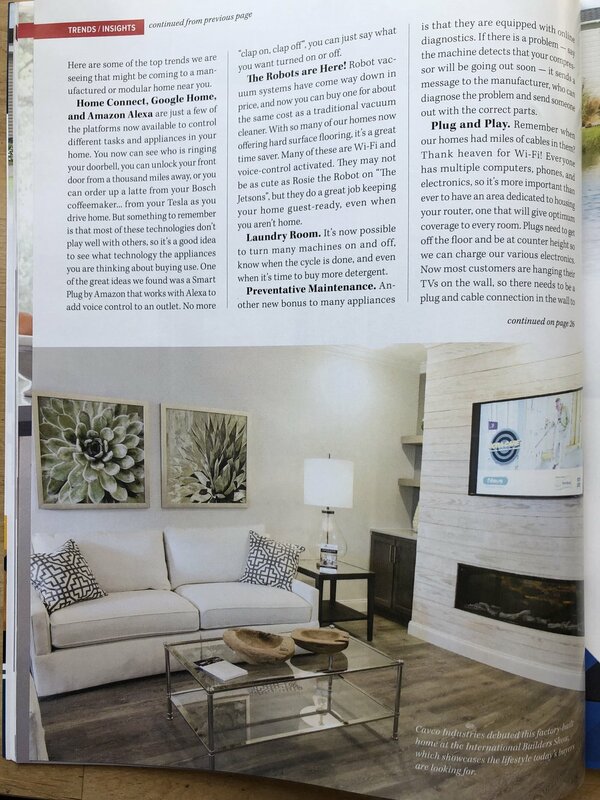 On a much happier note, we received the March/April 2019 issue of the MH Insider in our mail today - it’s so fun to see a printed publication that takes the time to publish a professional publication that is spell checked, offers great insightful content and not only has beautiful photography, they give photo credits on the photos! We are honored to have our work being featured in this publication, and hope that you will take a look at this, and their well designed consumer site MHVillage. Before you decide to copy someone else’s work, please think about all of the time, energy and talent that went into that work. Most people are thrilled when it is shared in a professional manner and credited accordingly. If you are interested in sharing any of our work, this Lifestylist would be happy to chat with you!